How good is your geometry? 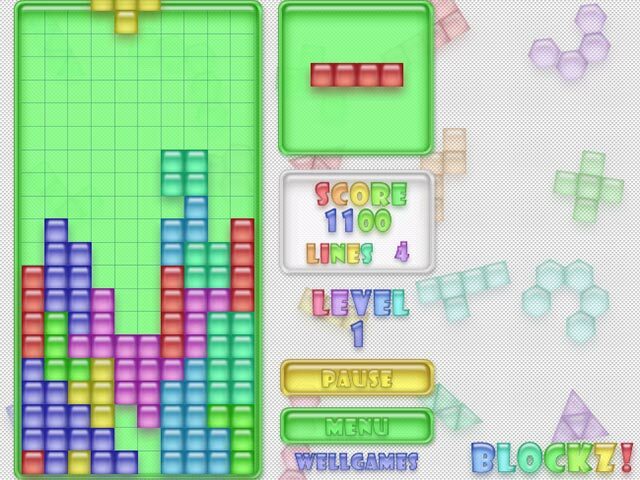 Find out as you rotate the falling pieces into place in Blockz!, a classic online puzzle game.Rotate blocks as fast as you can!How fast can you shift shapes? 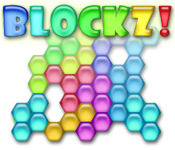 Find out as you test your geometry with Blockz!, an online version of a classic puzzle game. Rotate the shapes into position using the arrow keys so that they form full lines on the bottom. Clear lines to level up. Sound familiar? 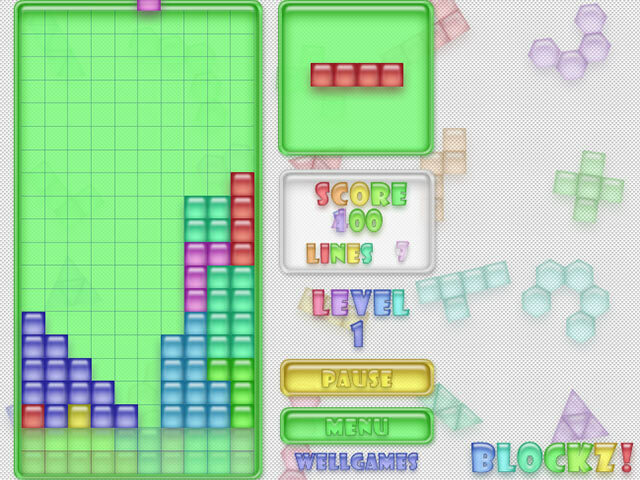 Maybe so, but with 3 block shapes and 2 play types, Blockz! won't ever get old. Play online for free now and see for yourself.